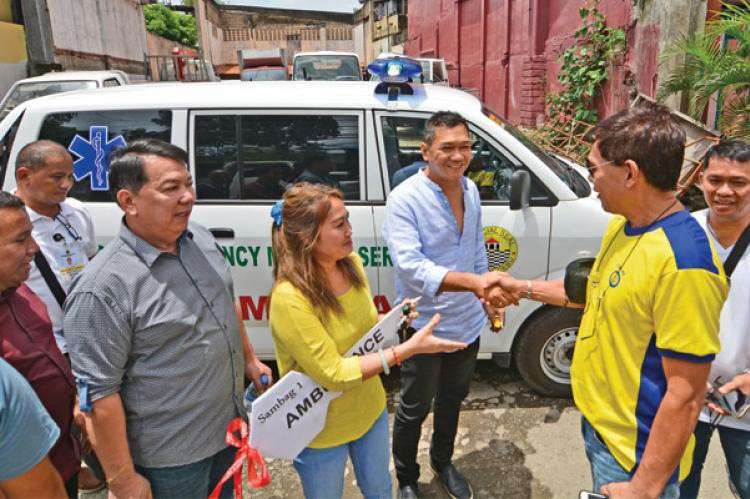 FOR lack of probable cause, the Office of the Ombudsman-Visayas has dismissed the case filed against Cebu City Mayor Tomas Osmeña, four other city councilors and two department heads for issuing a City-owned ambulance to a private individual. In a resolution, Graft Investigation and Prosecution Officer II Rogie Fernandez said not all elements of the crime charged are present in the act committed. The resolution was also approved by Deputy Ombudsman for the Visayas Paul Elmer Clemente. In 2017, former Sambag I barangay captain Lemar Alcover accused Osmeña and Councilors Mary Ann Delos Santos, Sisinio Andales, Eugenio Gabuya Jr., and Jerry Guardo for alleged malversation of public funds or property and for violating Republic Act 3019 (Anti-graft and Corrupt Practices Act). The four councilors are all allies of Bando Osmeña Pundok Kauswagan. Also named respondents of the case were Department of General Services chief Ronaldo Malacora and former City Disaster Risk Reduction Management Office Head Nagiel Bañacia and Guardo’s wife Aileen. Aileen, who was a private individual that time, was appointed as head of Barangay Mayor’s Office in Sambag I.
Aileen is the incumbent Sambag I barangay captain, defeating Alcover in the election last October. Earlier, Alcover alleged that the delivery of the ambulance to Aileen was “illegal and irregular” because the latter was neither appointed nor elected as an official of the barangay. However, the anti-graft office said that even if the ambulance was entrusted to Aileen, the acknowledgment receipt for equipment (ARE) of the vehicle was still under Bañacia's name. “The ARE is clear that respondent Bañacia retains primary accountability for the subject property without prejudice to his right to require private respondent Aileen to keep such records and make reports as may be necessary for his own information and protection under Section 375 of R.A. No. 7160,” read portion of the resolution.